TOKYO, Mar, 21 2019 - (JCN Newswire) - Renault-Nissan-Mitsubishi, the world's leading automotive alliance, today announced the production release of the Alliance Intelligent Cloud, a new platform that is enabling Renault, Nissan and Mitsubishi Motors to deliver connected services in vehicles sold in nearly all 200 markets served by the Alliance member companies. Culminating joint development efforts between the Alliance and Microsoft, the auto industry's first global and most ambitious connected vehicle program will be deployed utilizing cloud, artificial intelligence (AI) and IoT technologies provided by Microsoft Azure. Azure provides the Alliance with a global data platform to securely capture, manage and analyze vehicle data to deliver intelligent services based on the vast volume of data created by connected vehicles. The Alliance Intelligent Cloud is a highly-scalable platform and will consolidate multiple legacy connected vehicle solutions with current and future connected car features and business operations that will support mobility services. The data-driven platform will enable advanced AI and analytics scenarios and accelerate time to market for new innovations and business initiatives. Optimized for speed and efficiency, the Alliance Intelligent Cloud will connect to vehicles and share digital features and future innovations across multiple models and brands for consumers in different regions around the world. Features consolidated onto the connected platform include remote services, proactive monitoring, connected navigation, connected assistance, over-the-air software updates and other customer tailored services. The Alliance is taking a unique approach to addressing the business opportunity provided by connected vehicles by owning, operating and designing its own intelligent cloud platform on Azure. The Alliance Intelligent Cloud is capable of connecting Alliance vehicles with future smart cities infrastructure as it develops and with potential future partners. With this new initiative, any third-party seeking to connect with all legacy and future connected Alliance vehicles will have a single point of contact to partner with. 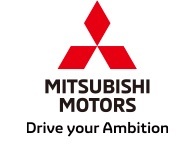 Groupe Renault, Nissan Motor Company and Mitsubishi Motors represent the world's largest automotive alliance. It is the longest-lasting and most productive cross-cultural partnership in the auto industry. Together, the partners sold more than 10.7 million vehicles in nearly 200 countries in 2018. The member companies are focused on collaboration and maximizing synergies to boost competitiveness. They have strategic collaborations with other automotive groups, including Germany's Daimler and China's Dongfeng. This strategic alliance is the industry leader in zero-emission vehicles and is developing the latest advanced technologies, with plans to offer autonomous drive, connectivity features and mobility services on a wide range of affordable vehicles.